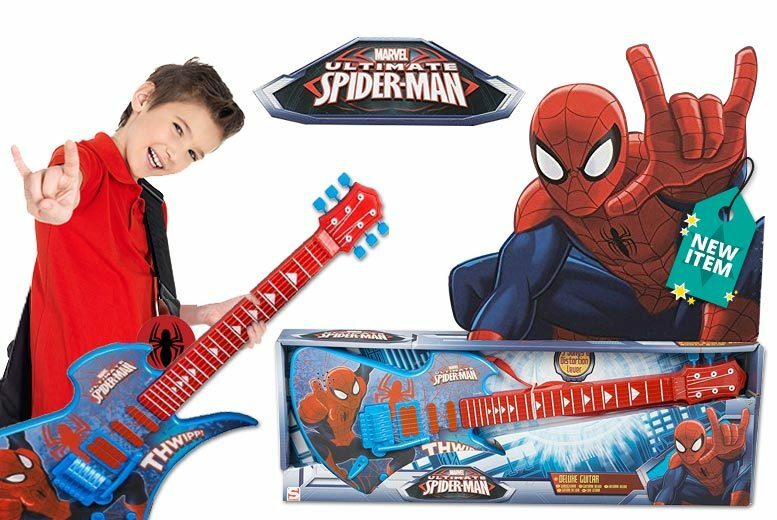 Rock out with ol’ Web-Head with this Marvel Ultimate Spider-Man guitar! Bright colorful design featuring everyone’s favourite wall-crawler! Has six metal string sand plays with songs! Also features a distortion lever for even more rock-out fun!